It's probable that Washington state schools will begin assessment on the Next Generation Science Standards beginning next year. 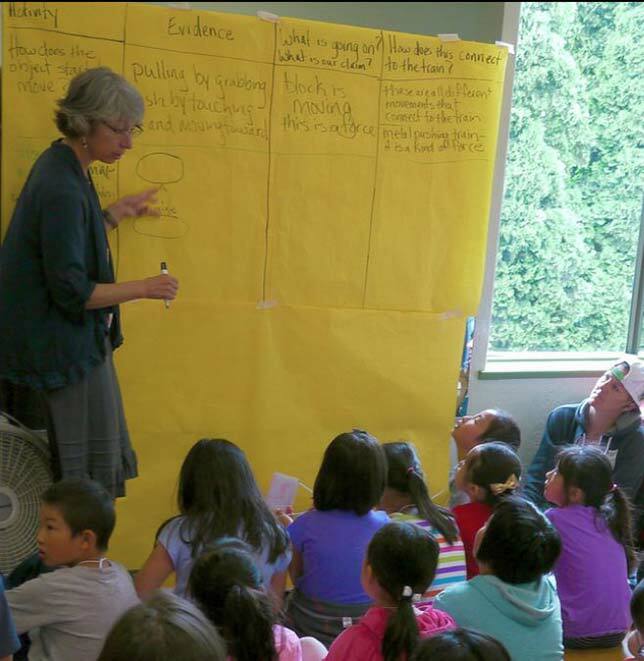 A partnership between Seattle Public Schools and the University of Washington College of Education is helping teachers prepare by showing them how to change the way they teach science. As profiled in a recent university article, researchers within the university have developed a set of online learning labs that support elementary teachers in developing teaching practices aligned with NGSS. A group of 30 "teacher-leaders" attended a weeklong workshop to learn how to apply the new model. In turn they have begun working with 480 other teachers in the district to introduce "mini-units" into the classroom. Another mini-unit allows "citizen scientists" in grade 5 to explore how magnetic trains work to set one up in their fictitious town. Doing so requires them to "collect evidence" on how magnets work, how the technology powers trains and then explain how it works to fellow citizens as part of garnering support for the project. "This is a big shift in practice," said Mary Margaret Welch, science program manager for the Seattle district, in the article. "We're giving our students a chance to share and try out their own ideas. We're asking them to make sense of phenomena and then explain that phenomena. This will let us know if they're engaging with content in a deep and meaningful way." Eventually, teachers in the district will be able to turn to a community on Teaching Channel's Teams platform to view video of each other's instructional practices. Those video vignettes of effective teachers will allow communities of teachers asynchronously to peer-critique classroom implementations of new instructional strategies, share and discuss student work and reflect on lessons learned. The new instructional approach integrates coverage of equity for English learners and allows those students to "use their home language as an asset," said Jessica Thompson, an associate professor of education whose work focuses building networks that support "ambitious" science teaching. The endeavor is also teaching Thompson and her fellow researchers how to approach the building of capacity for improving instructional practices. "It's not just a one-shot injection," she said. "Nationally, we think this could be a model for people to look at in gearing up for the [NGSS]. We're unique in our focus on instruction and teacher learning, not just curriculum and standards. We want to support teachers in reflecting on their teaching and working on a core set of science teaching practices they can continue improving." A description of the learning model is available on the STEM for All website.